Wade Franklin PARKER [Parents] was born on 22 Dec 1853 in San Gabriel, Milam, Texas. He died about 1925 in Grady, Jefferson, Oklahoma. Wade married Feliciana Mae "Annie" SHORT on 23 Feb 1903 in Methodist Episcopal Church, Cameron, Milam, Texas. Feliciana Mae "Annie" SHORT [Parents] was born on 22 Feb 1865 in , , Tennessee. She died on 25 Feb 1937 in Reck, Carter, Oklahoma. Feliciana married Wade Franklin PARKER on 23 Feb 1903 in Methodist Episcopal Church, Cameron, Milam, Texas. M i Harvey Luckey PARKER was born on 7 Nov 1904. He died on 31 Aug 1983. Perry Anderson PARKER [Parents] was born on 18 Sep 1856 in San Gabriel, Milam, Texas. He died on 22 Nov 1925 in Dallas, Dallas, Texas. He was buried on 25 Nov 1925 in Dallas, Dallas, Texas. Perry married Betty Tennessee MORRISON on 26 Sep 1878 in , Milam, Texas. Betty Tennessee MORRISON was born in 1860 in , Milam, Texas. She died in 1890 in , Lee, Texas. Betty married Perry Anderson PARKER on 26 Sep 1878 in , Milam, Texas. F i Delitha Jane "Lettie" PARKER was born on 9 Jan 1880. She died on 3 Oct 1960. M ii Wade Anderson PARKER was born on 10 Feb 1881. He died on 4 Nov 1954. F iii E. J. "Lilla" PARKER was born about 1884. M iv Floyd Sherman PARKER "Sr" was born on 26 Feb 1886. He died on 15 Nov 2006. M v Jeptha Cornelius "Neil" PARKER was born on 26 Feb 1886. He died on 9 Jul 1948. F vii Rachel Katherine PARKER was born on 13 Sep 1889. She died on 4 Mar 1939. Laura Katherine PARKER was born on 1 Apr 1893 in , , Texas. She died in Oct 1970 in Dallas, Dallas, Texas. Alford PARKER was born on 1 Feb 1896 in , Lee, Texas. He died on 30 Jan 1955 in Dallas, Dallas, Texas. Baby PARKER was born on 9 May 1903 in , Lee, Texas. She died in 1907. Mary Lee PARKER was born in 1911 in , , Texas. She died on 25 Jan 2006 in Rockdale, Milam, Texas. Velma Louise PARKER was born on 27 Jan 1912 in , , Texas. She died on 6 Dec 1986 in Dallas, Dallas, Texas. Ethel Mae PARKER was born in 1917 in , , Texas. She died on 13 Feb 2002 in Quinlan, Hunt, Texas. Perry Anderson PARKER [Parents] was born on 18 Sep 1856 in San Gabriel, Milam, Texas. He died on 22 Nov 1925 in Dallas, Dallas, Texas. He was buried on 25 Nov 1925 in Dallas, Dallas, Texas. Perry married Angeline Tennessee MAPLES on 18 Jun 1891 in Giddings, Lee, Texas. Angeline Tennessee MAPLES was born in Oct 1874 in , Milam, Texas. She died on 10 Mar 1906. Angeline married Perry Anderson PARKER on 18 Jun 1891 in Giddings, Lee, Texas. F i Laura Katherine PARKER was born on 1 Apr 1893. Wade Alford PARKER was born on 1 Feb 1896 in Tanglewood, Lee, Texas. He died on 30 Jan 1955 in Dallas, Dallas, Texas. M iii Alfred "Alf" PARKER was born on 1 Feb 1897. He died on 30 Jan 1955. Baby PARKER was born on 9 May 1903 in , Lee, Texas. Baby died before 1907 in , Lee, Texas. Perry Anderson PARKER [Parents] was born on 18 Sep 1856 in San Gabriel, Milam, Texas. He died on 22 Nov 1925 in Dallas, Dallas, Texas. He was buried on 25 Nov 1925 in Dallas, Dallas, Texas. Perry married Bertha C. SPARKS on 12 Nov 1910 in , Milam, Texas. Bertha C. SPARKS was born on 26 Nov 1883 in Russellville, Franklin, Alabama. She died on 30 Jul 1976 in Dallas, Dallas, Texas. Bertha married Perry Anderson PARKER on 12 Nov 1910 in , Milam, Texas. F i Mary Lee PARKER was born on 23 Jul 1909. F ii Velma Louise PARKER was born on 27 Jan 1912. She died on 6 Dec 1986. M iii Lee Vernon PARKER was born on 29 Nov 1913. He died on 9 Nov 1993. Floyd Sherman PARKER was born on 16 Sep 1915 in , , Texas. He died on 15 Nov 2006 in Quinlan, Hunt, Texas. F v Ethel Mae PARKER was born on 6 Apr 1918. She died on 13 Feb 2002. Andrew Jackson YOUNG was born in Dec 1856 in , Burleson, Texas. He died about 1901 in , Falls, Texas. Andrew married Elizabeth Ann "Betty" PARKER on 12 Sep 1880 in , Burleson, Texas. Elizabeth Ann "Betty" PARKER [Parents] was born in Dec 1858 in San Gabriel, Milam, Texas. She died on 12 Sep 1914 in Llano, Milam, Texas. Elizabeth married Andrew Jackson YOUNG on 12 Sep 1880 in , Burleson, Texas. M i Samuel Clarence YOUNG was born on 10 Apr 1882. He died on 16 Aug 1944. M ii Andrew Anderson YOUNG was born in Apr 1883. F iii Margaret Elizabeth YOUNG was born on 20 Aug 1885. She died on 7 Feb 1966. M iv Charles "Charley" YOUNG was born in Mar 1888. He died on 7 Dec 1913. F v Willie Mae YOUNG was born on 12 Sep 1889. She died on 1 Dec 1980. Jesse - Jessy YOUNG was born in Nov 1891 in Caldwell, Burleson, Texas. She died in 1900. M vii Jacob Hill YOUNG was born on 19 May 1892. He died on 15 Jun 1983. F viii Katherine Ann "Katie" YOUNG was born on 3 Mar 1894. M ix John David YOUNG was born on 5 Jan 1896. He died on 25 Jan 1971. M x James Edgar YOUNG was born on 6 Dec 1897. He died on 23 Dec 1970. Betty YOUNG was born in Nov 1900. She died before 1910. John Wesley PARKER [Parents] was born in Jun 1862 in San Gabriel, Milam, Texas. He died in Apr 1901 in Indian Territory, Roff, Pontotoc, Oklahoma. John married Feliciana Mae "Annie" SHORT on 13 Jun 1882 in Menard, Menard, Texas. Feliciana Mae "Annie" SHORT [Parents] was born on 22 Feb 1865 in , , Tennessee. She died on 25 Feb 1937 in Reck, Carter, Oklahoma. Feliciana married John Wesley PARKER on 13 Jun 1882 in Menard, Menard, Texas. F i Mary Elizabeth PARKER was born on 4 Jul 1883. She died on 18 Sep 1921. M ii William Alexander PARKER was born on 3 Mar 1885. He died on 29 Dec 1961. M iii Jess H. PARKER was born in Nov 1886. He died in 1952. M iv Thomas Allen 'Tom" PARKER "Sr" was born on 16 Jan 1887. He died on 2 Sep 1953. M v Jade Wesley PARKER was born on 24 Apr 1891. He died on 1 Jan 1970. M vi Ezra Daniel "Dan" PARKER was born on 24 Apr 1893. He died on 10 Feb 1982. Jay PARKER was born in 1894 in , , Texas. F viii Lena Ruth PARKER was born in Feb 1896. She died in 1910. Alice PARKER was born in 1896 in , , Texas. Litta Lee PARKER was born in 1897 in , Milam, Texas. She died in 1899 in Salty, Milam, Texas. Rosa Lee PARKER was born in Feb 1899 in , Milam, Texas. She died in 1910 in Atlee, Jefferson, Oklahoma. Harvey "Lucky" PARKER was born on 20 Feb 1904 in , Milam, Texas. He died in Aug 1983 in Nevada City, Nevada, California. 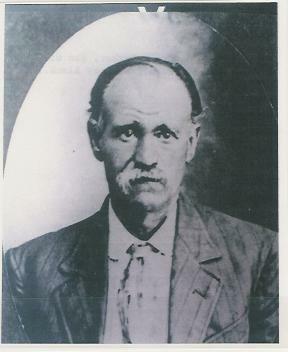 John THOMAS was born about 1863 in , Milam, Texas. John married Laura Alice "Lena" PARKER on 15 Jan 1885 in , Milam, Texas. Laura Alice "Lena" PARKER [Parents] was born in Mar 1864 in , Milam, Texas. Laura married John THOMAS on 15 Jan 1885 in , Milam, Texas. Jade Giddings "JD" PARKER [Parents] was born on 1 Jan 1865 in Thorndale, Milam, Texas. He died on 2 Aug 1935 in Dallas, Dallas, Texas. He was buried on 4 Aug 1935 in Dallas, Dallas, Texas. Jade married Savannah Georgia LITCHFIELD on 18 Jan 1883 in , Williamson, Texas. Savannah Georgia LITCHFIELD [Parents] was born on 20 Mar 1867 in Lone Oak, Hunt, Texas. She died on 14 Aug 1931 in Pleasant Hill, Milam, Texas. She was buried in Pleasant Hill Cemetery, Pleasant Hill, Milam, Texas. Savannah married Jade Giddings "JD" PARKER on 18 Jan 1883 in , Williamson, Texas. M i Joseph Henry PARKER was born on 26 Mar 1883. He died on 15 Dec 1957. Jodie PARKER was born in Mar 1884 in , , Texas. He died before 1970. M iii Harvey Anderson "Harve" PARKER was born on 1 Nov 1885. He died on 26 Jan 1967. F iv Pearl Elizabeth PARKER was born on 26 Apr 1888. She died on 25 Feb 1958. Nettie May PARKER was born on 30 Jun 1890 in , Milam, Texas. She died on 2 Jul 1957 in Belton, Bell, Texas. M vi Eddie Everett PARKER was born on 7 Aug 1892. He died on 17 Feb 1962. F vii Addie Nevada PARKER was born on 12 Feb 1895. She died on 4 Jan 1985. J. Dee PARKER was born on 19 Jan 1897 in , Milam, Texas. He died on 6 Dec 1966 in Houston, Harris, Texas. F ix Ellen Ella PARKER was born on 16 Feb 1899. She died on 19 Aug 1997. F x Ollie E. PARKER was born on 5 Aug 1901. She died on 23 Jun 1982. F xi Lillian Savannah PARKER was born on 16 Jan 1904. She died on 21 Jul 1989. F xii Berdie Mae PARKER was born on 20 Jan 1907. She died on 14 Mar 1991. M xiii Sterling Thomas PARKER "Sr" was born on 26 Apr 1909. He died on 27 Oct 1961. M xiv Ira C. PARKER was born on 29 Mar 1913. He died on 13 Sep 1987. David Henry JACKSON was born on 27 Jul 1873 in , McNairy, Tennessee. He died on 26 Jan 1962 in , Freestone, Texas. David married Willie Mae YOUNG about Oct 1905. Willie Mae YOUNG [Parents] was born on 12 Sep 1889 in Caldwell, Burleson, Texas. She died on 1 Dec 1980 in , Freestone, Texas. Willie married David Henry JACKSON about Oct 1905. M i Alva Denson JACKSON was born on 16 Jan 1908. He died on 21 Jan 1996. Alva Denson JACKSON [Parents] was born on 16 Jan 1908 in Travis, Falls, Texas. He died on 21 Jan 1996 in Irving, Dallas, Texas. Alva married Ruby Mae MEDLIN on 2 Mar 1944 in Red Oak, Ellis, Texas. Ruby Mae MEDLIN was born on 24 Mar 1922 in Howe, Grayson, Texas. Ruby married Alva Denson JACKSON on 2 Mar 1944 in Red Oak, Ellis, Texas. F i Virdie Denice JACKSON was born on 25 Nov 1946.